Well, it's time. I'm outta here. I've already left in fact. My weekend away has officially begun. BlissDom is happening whether I'm ready or not. And really I'm not all that ready. But it will be alright. While readying myself for this blogging conference adventure, I ordered business cards. Cards that will be ready and arrive in Michigan today, after I arrive in Texas today. Whomp. Whomp. But it will be alright. That's my go-to phrase for, well, everything. It's the phrase that I always want Tim to say whenever life gets chaotic or stressful. 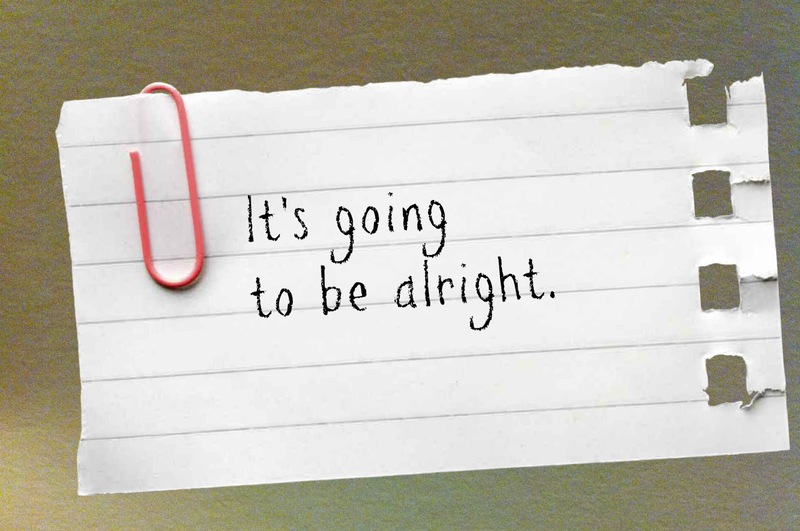 It's my mantra really--It will be alright. And besides, if it's not alright, it usually makes a funny story eventually. Follow me on Twitter and Instagram and Facebook for all my updates from BlissDom. This week while I was failing at readying, I missed my Wednesday vlog link up with Mama Kat.